"Mrs. J" as she is known to her customers, friends, family and staff is called a Culinary Treasure by the State of New Mexico. Born Florence Poulin in Hartford CT, she made her way to New Mexico when she married Chimayó native Arturo Jaramillo. 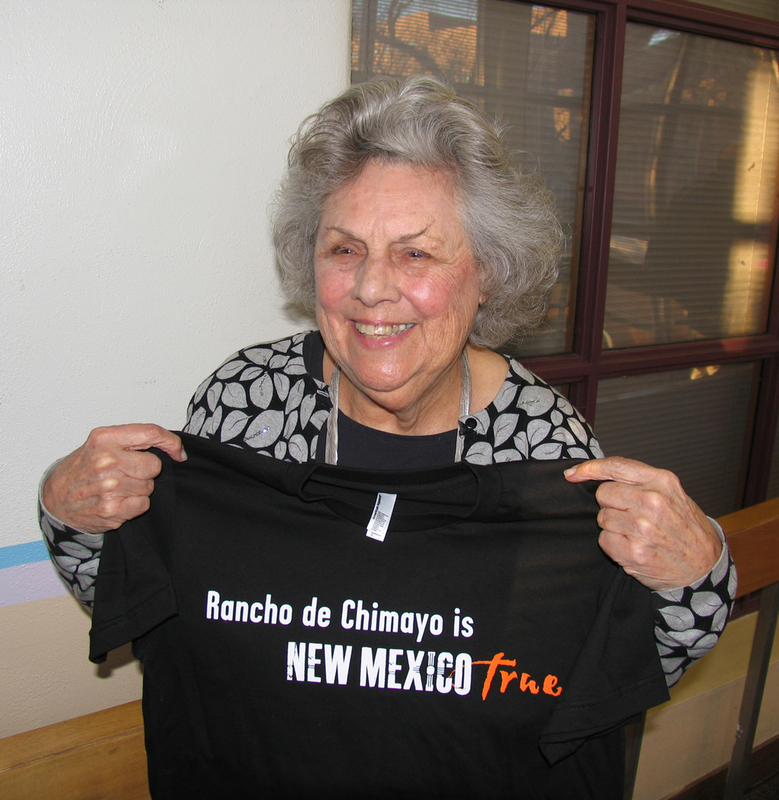 Together in 1965 they began Rancho de Chimayó in the restored ancestral family home using recipes perfected over generations. Mrs. J became legendary for her original gastronomic creations, warm hospitality, and integral role in bringing New Mexican Cuisine into the international spotlight. She was New Mexico Restaurateur of the Year in 1987, served on the New Mexico and National Restaurant Associations boards and won the top honor from the National Restaurant Association - The Lifetime Achievement Award. Mrs. J also holds the rank of Honorary Colonel in the U.S. Air Force. Janet Malcom, for more than 25 years, has been the leader and guide of this kitchen. She has an excellent sense of what Northern New Mexican food is supposed to be like, and has followed the family recipes that have been passed down for generations with the utmost respect. Under her leadership, Janet and Mrs. J have gone to the more original, traditional preparations of their recipes utilizing more fresh and local ingredients, making the food from scratch in more authentic ways.